New Apple Wireless Keyboard, Apple Magic Mouse, Apple Magic Trackpad compatible charger from Mobee promises greener, cheaper future. Should I buy the Mobee Magic Feet? The Magic Feet from Mobee is a useful Apple accessory, although not a wholly essential one, that will hopefully save you money and reduce your carbon footprint over time. It still requires wires, a USB lead and power lead, which is a small step backwards, one that needs to be addressed at some point in the future. For now, the dock shows potential and is a worthy addition to Mobee's growing range of quality Apple accessories. Mobee offers a range of Apple accessories that aim to either supplement or replace those you are already using, essentially charging devices more efficiently and environmentally. The Magic Feet, available in the UK via Softline, is a recent and significant addition to that range. 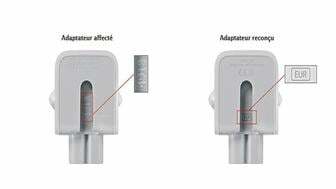 The universal charging station is capable of charging a selection of Apple wireless input devices, rather than just one, which is potentially, over time, both more cost efficient and green. Apple's Magic Mouse, for instance, has a habit of draining batteries at such a speed, typically those bought in bulk in supermarkets and discount stores, that you can be left frantically searching for replacements at awkward times. Mobee's Magic Feet aims to put an end to that scramble, the charging dock being compatible with Apple's Wireless Keyboard (2AA size), Magic Mouse and Magic Trackpad. Up to three devices can be charged at any one time, a process which Mobee calculates takes around 10 hours for each device for a full charge. On a full charge, Mobee adds, Apple's keyboard and trackpad should last a full 10 days without needing to be charged, while Apple's mouse should last around 8 days. Set-up is swift and simple, replacing batteries with the rechargeable ones supplied by Mobee and plugging the dock's rather bulky power supply into a wall socket or power extension lead. You then connect either the keyboard or trackpad and place the mouse, or mice on the top of the dock. Small LED lights are either red, blinking green or green depending on what's charging and what's fully charged. These may be a distraction while focused on your iMac or monitor, especially late at night with the light's dimmed, although these can easily covered if needs be. At 11.90 inch x 4.29 inch x 0.99 inch, the Mobee Magic Feet is neat enough to fit most work spaces without too much additional bulk or clutter, and is designed to discreetly sit under your iMac or monitor. Indeed, after a few days use we hardly noticed it was there, as it integrates well with Apple's wireless keyboard, with a look and build that could pass for an official Apple product. The dock is also significantly light - 13.40 oz / 380g - if you are tempted to take your new slimline iMac for a walk or simply want to move it without fuss. The Magic Feet is also a 4-Port USB hub, which is useful and more convenient than digging around the back of your iMac. It also adds a little extra value to a dock that is a significant investment for an accessory, which some might wonder if they actually need. Mobee estimates users can recover that cost within one year of home usage or six months of office usage. The dock uses inductive charging technology and promises "a greener way to use your devices," adding "Mobee batteries allows customers at least 500 cycles of recharge." In truth, just how green is difficult to determine, while solar power may be a better option if you can find a commendable alternative.